The Nesco 18 Qt Roaster Oven is a piece of kitchen equipment that I can’t believe I was able to live without for all these years. It makes making dinner almost as easy as turning the dial to the desired temperature and walking away. The Nesco 18 Qt Roaster Oven is so versatile you can use it to cook dinner every night and never make the same dish twice. It also functions as a slower cooker as well. Besides the fact that you can use the Nesco 18 Qt Roaster Oven to roast a 22 lb turkey, it can be used for many other dishes. It comes with a steam rack for steaming your favorite veggies or anything else you can think of steaming. I have not yet used mine to make turkey, but I have used it to make beef stews, pot roasts and one of my favorite comfort foods potato soup. With the size and versatility of the Nesco 18 Qt Roaster Oven, your dinner menu will grow exponentially. Cleaning your Nesco 18qt Roaster Oven is easy thanks to its removable pot that has a non stick coating. The roaster is for the most part self-contained meaning that everything that comes with it either stays attached to the unit or it fits conveniently inside the roaster with enough room to put the lid on upside down to make storing in a cabinet easier. Circle of Heat construction – food is cooked from the side rather than the bottom, for more moist cooking results. Automatic temperature control to help ensure you’re always being energy-efficient. Wide ranger of temperature settings (200ºF-450ºF). Which makes it perfect for slow cooking, roast, bake, steam, you can also sear and brown food. Chrome steel rack with handles to make removing all your hot foods safe. Use/Care information and recipe guide. 18Qt and is able to hold up to a 22 pound turkey. 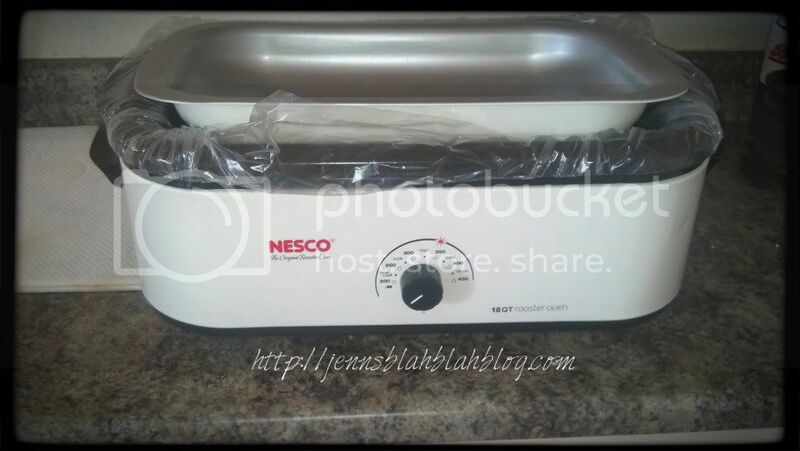 I have had my Nesco 18qt Roaster Oven for a little more than a month and I love it. I have already used it 4 or 5 times and have planned dinner for the next week using my roaster oven. Thanks to Nesco making dinner in our house has gotten a lot less time-consuming and hassle free, that in itself has been a godsend because we all know how fast time passes and who wants to spend all their extra time cooking. Simplify your kitchen and your cooking methods by going to Nesco.com to order your Nesco 18 Qt Roaster Oven for a steal at under $80! As of today you can actually pick it up on sale for only $64.99! Head over and check out this awesome Nesco Roaster. If Parents Smoke How Likely Are Children To Pick Up The Habit? Would you be willing to share your nesco recipe for Potato Soup? Beckie, let me find my book and I can send it to you if you like. 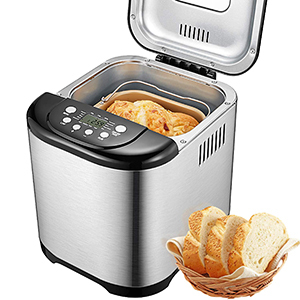 The Nesco 18 Qt Roaster Oven looks very nice! I need one of these for family get-togethers and church pot-lucks. So convenient! I have one of these and I cannot tell you how often this comes in handy when entertaining and trying to get a number of things cooked all at once. I highly recommend it! I would love to have one of these roasters. Thanks for the great review. THIS IS A BIG COOKER--THANKS FOR GIVEING IT AWAY.. I'd love to have this roaster. I could use it as a slow cooker ~ which I love. Thank you for all the great giveaways! I am having a wonderful day today. However, I cannot go out because of the snow. Cooking is all there is to do! This is the best roaster I've ever seen. I think it would make life so much simpler. I enjoy the information that you have on your page. I like the easy storage feature of this roaster. I would love to have something like this...to be able to make it portable...take it camping even... so much easier to make beef stew for 20 people in something this size! I love the fact that this roaster has a nonstick coating. This would be great for all the recipes I've found on Pinterest. Thank you for the opportunity to win one. WOULD OVE TO HAVE FOR MY KITCHEN!!!!!!!!!! Ive wanted to try one of these for a while, I use my slow cooker a lot but you can only fit so much in one of those. This is a good roaster. This is handy, the range oven can be used for pies, while the meat is cooking in this roaster. I am looking forward to roasting a turkey in the roast pan!! This roaster would be a life saver in my household! This looks like a must-have that I could get a lot of use out of. Truth be told, I really don't care to cook that much. Of course, I do else my husband would starve, but this roaster would definitely make a difference in my cooking habits. I have one of these and have just about used it to death, lol. I especially love it at holiday times when we have a big crowd for meals. Throw the turkey or ham in it and let it do it's thing. It leaves the oven free for other things and does a fantastic job! I would love to have this! It sounds like such a great little appliance! You do the best reviews. Thanks for all the details and and honest opinions. I can see how this roaster is so versatile. Amaxing you can cook 22 lb turkey in it! I'm excited to hear how easy the roaster is to clean up after using it. That makes this one a keeper. Thank you for all your wonderful Reviews and giveaways. This would be such a fantastic thing to have...just the fact that I wouldn't have to heat up the entire kitchen when it's warmer...and could just use this, would be well worth having it! I like the fact that this roaster has an automatic temperature control. If I win this I will be giving it to my hard working son. He helps take care of me. I have COPD. He cooks double batches and brings some to me. This roaster would make his life so much easier and I would benefit also. I would so love to add this to my kitchen appliances! This would be awesome for turkey to free up the oven. I would love to have one of these roasters as I am sure that making a turkey or ham in it would be a breeze. I like that it's portable. Perfect for cabin camping. Thanks, I didn't know the food could be browned in an electric roaster oven. This is good news. Just want to say thank you for all the giveaways you sponsor and put on here. I could sure put this roaster to work for me. Thanks for the great review. this would be a great peize, it would be better then putting on th e hot oven, here in Texas we are having warm weather in winter. I know i would cook more at home if I had this roaster. thank you for giveaway. These cooker are so nice, my mother had one. I borrowed it and fell in love with it. When she passed away I let my younger sister have it because she has six kids, a set of twins to raise and she had more use for it than me since my are grown and out the house. During the summer I would set it on the patio and cook so more house would not get all heated up, helped on the electric bill, LOL. i would totally love to have this - i hate having to struggle to fit things in my 5-qt cooker. Can't believe all the good things you can cook in this roaster. I want one that is for sure. Thanks for the post. That is amazing to be able to fit an entire 22 lb bird in this and have it cook well... I am definitely going to look into this...i didn't realize they made roasters that would handle something so large...and I need one at least that big! Jen, Thanks so much for the chance to enter your giveaway! This would save me so much time in the evening ! A crock Pot is the way to go when you don't feel like standing and cooking after you work all day. Love your review. This would be awesome for me since I don't have an oven. Since I hate microwaves..this would be a perfect things for me! I like to cook and freeze to save time in the kitchen. This would help! Making a turkey in this roaster would be super easy. I use my slow cooker all the time but of course this is not big enough to roast a turkey. This appliance would be perfect! Great review. I love this roaster. Perfect for a pot roast! This would be a huge plus to win. When I use the oven in my apartment, the smoke detector goes off from the heat, when I use the stovetop to make beans, pot roast, etc, the carbon detector goes off. LOL This would definitely save on my ears! this would make life sooooo much easier and cooler hehehehe during the summer, i only have ONE air conditioner.. i cant afford to run another as the electricity here is sooo expensive. I hate cooking during the summer because i have to turn the oven on and its way too hot in here. This would make it so much better and not send out for already made food. ty for opportunity to win this. If I don't win I'll probably pick one of these up anyways. Your review is very informative. I learned the this roasted is versatile. I can use it as a steamer, also. It has a temperature control. Clean-ups a breeze. I would just love to have this! Thanks for the great review. Anything that makes my life easier! Dinner in one dish. You can cook cake in this?! I did not realize that - it is like a nice table top oven, not just a roaster! This looks like an amazing roaster Oven. It would cooking so much easier in my house. Nice review, I really need one of these to cook my meals easier! So great that you can use it to steam food also. My favorite feature is the energy efficient automatic temp control. This roaster is awesome, I've got to get me one of these. Really nice review. I think having one of these in my kitchen would be a real time saver. Living here in FL. this would be a huge help! You always have the best contests. Thanks for the chance to enter! We actually have two of these and use them pretty frequently. During the holidays we use both of them. I cook the turkey in one, ham in the other and leave the oven free for all the other stuff. It's great too because during the summer I work at a renaissance faire and feed about 30 people during the weekend. This thing holds the HUGE amounts of food that I bring, it keeps it hot and tasty. We have the inserts too that make it useful as a buffet server too. I really recommend getting them. I love the roaster you can cook just about anything in it! I would be thrilled to have this cookware, I love the idea of the steamrack. I hadn't ever really thought about having that kind of feature. I especially love the size of this roaster oven...great or holidays or family dinners...love it! I am so enjoying the testimonials I've read on other sites. I really hope I win this. It would save me so much time in the kitchen. I love this roaster because you can look anything in it hassle free. I want to win this for my dog rescue group so we can use it at our fundraisers. It seems like the perfect kitchen appliance. Thanks so much for all you do .. This would make a nice turkey dinner, for a party. My mother has one of these and we love it! So much easier to cook the Thanksgiving turkey than using a conventional oven -and less electricity to boot. I would love to win this roaster! Want to win this so bad. I could fix so many things in this that my family would love to have to eat! I'd make swiss steak in it. This is better than having 2 ovens if you would need it. I would love to have one of these, esp as it would use less electricity than running your whole oven. It would be great for holidays you want to save the oven for a bunch of veggies, etc, you can cook the ham, turkey, etc in the roaster oven. I have a Nesco dehydrator and I love it. I like Nesco. I am salivating at the thought of all the meals I can cook efficiently in this roaster. It's a one-stop shop ,eleiminating the need for many other household gadgts Not to mention time & water saved cleaning everything up. A big THUMB UP Nesco. I remember something like this my mother had. Using this cooker will bring back for a while my mother as I smell dinners being cook. And every once in a while it feels good to remember a special person in ones life!! Love You ,and Miss you!! Thanks for your GREAT REVIEWS and CONTESTS! This roaster is perfect for making chili. I love your review and it only makes me want it more. It is much better than the old one I have. Thanks for the info!! I cant wait to make roast beef with carrots, onions and potatoes!!! YUMMY!! Thanks so much for this review, you are so awesome!! this looks like it would' be great to have when staying somewhere w/o an oven! I love anything that keeps me out of the kitchen. Half the time I don't even know what's in the fridge! I don't eat much. Anyways, I could throw a meal together. Turn the roaster on and forget about it. Great review! I've heard lots of good things about the Roaster oven. LOVE TO COOK IN THIS!! My Grandma had one of these and I've always wanted to get one. I would love to cook a chicken or turnkey in this. The more I read about this roaster, the more I'm in love with it. It seems like the one item in your kitchen that can take the place of at least 9 other gadgets. This cooker is awesome. I could find 1000 things to cook in it. Thank you so much for all of your hard work. I love your blog. Under eighty dollars? That is a great price! ahahahahah...I would so love to give this to my hard working son. I am ill and he makes big batches and freezes some for me. How exciting is that. Thank you for all the information, making it easier to make a choice. Every holiday I run into the problem on not having a big enough cooker. One that holds 18 quarts would be so handy! It sounds like a great product. After reading your review, I think this is going to have to be a must have in my kitchen. My husband loves cooking in the crock pot, and I enjoy finding different ways to cook the kids' favorite foods. And with having so many options in one, it would be a great way to clear out some of our extensive collection of cooking items. I would love to have this roaster. I would do more roasting and entertaining, plus use it for pot-luck picnics and more! I love this roaster. I hope I win. Thank you for the opportunity to enter your contest. My oven would be much cleaner using this versatile appliance right on your countertop. I would love to have this magificent machine. I would love to try this and see if it does a better job than my oven! I would love to win this so I could fix large meals for our church gatherings! I love this product and I love cooking! I have one of these roaster similar to this one and it is the best at cooking turkeys on thanksgiving. It frees up your oven for other things! I've had Nesco roasters in the past, and I've always had good luck with them. I love the even heating and the quality of their products. This one would be a big help for larger meals or parties! Thus roaster would be awesome to have at Easter and Thanksgiving! There are so many things I can think of to cook in it! Thanks for the great review! This would be perfect for making soups prior to canning them. I have the perfect place to put this on my counter. Thanks for the review, I would like to get one of these roaster soon! This is great! I would love to use this! I can see how great it would be in the summer when you don't want to use your stove or oven. I really want one. This Roaster is compact enough to take along in a motor home. THANK YOU, THANK YOU THANK YOU THANK YOU FROM THE BOTTOM OF MY HEART THANK YOU! I would love to win this mine broke so I need another one. I use to use mine all the time because it allowed me to get other things done to that needed done. Thanks for the giveaway! This would be great in my newly finished basement because it's a great space for entertaining but there's no stove down there. First of all I want one lol! I had no idea you could cook all those things in there. I knew you could roast turkey and chicken of course. But, pies and cakes really? This is on my wishlist for my birthday!! Thanks Jenn for continuing to post such great opportunities for us! I don't own a roaster, but think that it would be super easy to cook a turkey. I like that a recipe guide is included. WOULD LOVE TO COOK IN THIS!! Love cooking appliances that make my life easier...especially ones that I can just walk away fromand PRESTO dinner is ready:) Thanks for a great review; definitely a product I am adding to my Mother's Day list! The Nesco Roaster sounds divine. I can just put in whatever I want to bake, set the timer and then do other things that are important to me. This would save me precious time. Wow! This roaster can handle a 22-lb turkey. Perfect for cooking Thanksgiving Day turkey. i would use this ALOT!! i LOVE cooking and trying new recipes! I really could use this oven roaster, especially since my stoveis on the fritz. This would be great for baking roasts without warming up the whole oven. Great review. This would be super for making chili. I would cook good things in it!! There are only two of us here. The roaster is the perfect size. i would use this right away for a big family dinner would try a turkey thank you.. I don't roast things that much, but if this can steam veggies that would be very useful! So versatile! I live in FL. and would love to cook without the oven. I love to cook in my crockpot so this would help a lot. I am a busy mom of 4 and in school full time! Thanks for the great give-away. I love to cook for family events. I have a bunch of sisters-in-law, nieces, nephews and neighbors over ... this will come in really handy. Thanks so much for this giveaway. The 18 qt. roaster seems easier to cook a turkey than what I have been doing for years. I would love to win this Roaster to make my Grandma's Irish Stew for St. Pat's Day OR Corned Beef and Cabbage with New Potatoes!!!! What a great product. I love that it is so easy to clean. I would love to win this giveaway!! I absolutely love to cook and this gives me so many ideas!! Fingers are crossed. Roasters are great for potlucks and making big family dinners. Thanks for the great review. These are great to have around. I used mine when my oven went out. Thanks for the review. I love the removable cookwell. Thank you for all the time you take in reviewing items and giving us your honest opinions. This roaster looks like it would make a great addition to my kitchen gadget collection! It would make preparing healthy meals for my family a lot easier! I can't believe how much you can do with this roaster. Maqybe I can hint to my husband to get one for me. 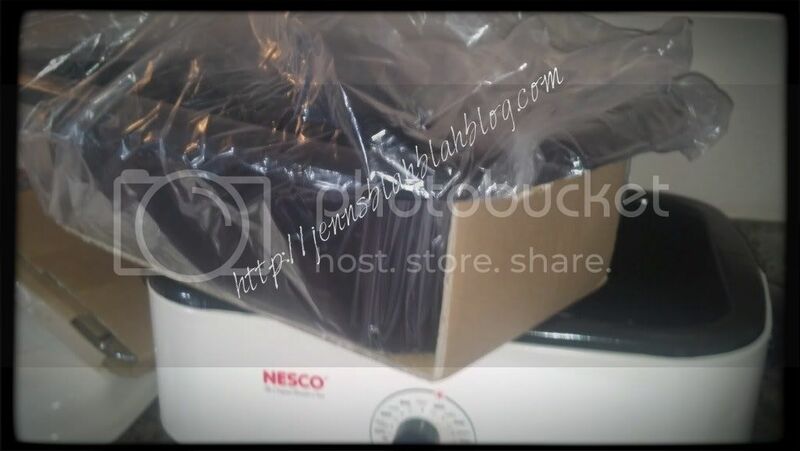 I would love to try and back a cake in this Nesco Roaster oven. I would make so much in this if I were to win. It would give me so much more time to get some other things to do and spend more time with my family. LIKE THIS HOPE I WIN!! Wow, I just saw that you can make cake in the roaster too! I guess you really can use it for everything! I have such fond memories of my childhood growing up and going to my grandmas for Thanksgiving and Christmas. She used a roaster exactly like this one to cook her turkey or ham in. I have always wanted to own one, but have never had the chance to spend the extra money on one. Great review!! I would love to have this in my kitchen. Oh the many things I can cook with it! I love the idea that this big enough to cook a turkey. Jenn shares so many great ideas! Have been wanting one and this is awesome! This would make cooking Thanksgiving and Christmas dinner a lot easier! I bet it would be great for making chicken and pot roast. Yummy, I've made myself hungry now lol. WOW!!!! What a GREAT addition to any kitchen..... did you find that it cuts cooking time???? Was it nice to free up the oven??? I would love to have one for next thanksgiving to cook my turkey! My friend has one of these and they are AWESOME! What a great product! It would certainly be nice to have when I prepare meals when my whole family is in for the holidays. I do a large amount of cooking and this would be a help! Well I'm sold! It would be so great on Thanksgiving to cook the turkey in it and have the oven for all the other dishes. I can't believe how many things you can use this to make! i honestly never thought of cooking a turkey in anything but an oven, but this would be no-mess no-fuss!! and also what a great price! I haven't even seen one of these for sale in a long time. I have a vintage one with the stand and cupboard but the roaster is broken. I would love to win this to put with the stand if it fits. I have narcolepsy and I am not able to lift heavy objects. I would give this as a gift to the best cook I know, my son. He cooks for me quite often so I would also get to enjoy it. Great review. These cookers are great. I used to have one, and when my oven went out I used it in place of it. Works wonderfully. Thanks! Love this! Happy New Year! I would use it as a slow cooker. That way I wouldn't burn dinner. My husband rarely lets me cook so I'm not too good at it.But,which came first the chicken or the egg? This would be perfect in summer so you don't have to heat up your house. I love this roaster and how big it is. I like putting something together and just walking away. I could make so many things in it and try new recipes too. Will great to take on family gatherings this summer. I would love to win and cook a turkey. It would be my first! Lately I have had the urge to cook one! Thank you so much for all the time and effort you put into your blogs and giveaways ! I love that it cooks on the side and has handles! Thanks for the review! What a sweet gadget! Perfect for cooking in the summer without heating up the kitchen like the stove does. I'd love to have this.What an innovative tool for the kitchen. No need for an oven. It's easier to clean and does just about the same things. I've wanted one of these for over 30 years!!!! Wonderful prize! I'm so glad to have come accross Jenn's Blog! I have never had a roaster like this. This would be perfect, not only for special occasions like family get togethers, but I could use this every day. Thanks for the great review. I miss mine. I want another one. I used it so much especially around the holidays. I really like that it cooks from the sides! I don't know how many times the bottom of the food has burned but the middle still isn't cooked! I also like that it has handles! Pot holders aren't always reliable! Love it! And love the great review! I could whip up some yummy recipes in this! I've wanted one of these for the longest time! It seems like the oven is always over-crowded during the holidays and this would be perfect to make the main course in while the pies, biscuits, casseroles, etc. are cooking in the oven. By the time I get home I'm lucky to scrape a few crumbs together to make a meal, this looks ridiculously convenient and easy. Would love to try this out! This is an awesome giveaway!! I have 7 kids and usually use 2 or 3 crockpots to cook dinner. This would be awesome for us!! Love how big this is. I'd love to use it for so many meals. This would be great for that meat that my family loves to eat. I can just think of all I could fix for them using this! Thanks for sharing! This would make my life so much easier. I use a wheelchair and with this roaster I won't have to worry about getting burnt like when I use the stove. Thank you!!! Wow - sounds like I need one! i need one of these!! anything that helps the supper process is great! Geeze, this Nesco Roaster rally does it all. I think it just might replace my oven. How convenient. Truly remakable. I'dlove to see how it bakes cookies or cakes. That is an awesome piece of equipment for any kitchen. Great review. I could really use a roaster. Especially in the summer instead of turning on the oven and heating the house up. What a fantastic item to give away to some lucky person! These Nesco roasters are so versatile and reliable. My friend swears by them. Thank you for the review. Your blog is so informative and well organized, and you give away so many nice things. Thank you! I hope I win this roaster!!! I cant wait to start cooking some delicious meals in there!! I would Love one of these I always borrowed one of these from my son at holidays and now it would be great if I had one of my own. Wow! Impressive that it really can cook everything. I like that it has a removable pot that has a non stick coating, so it seems easy to clean. Thanks for the review! These are wonderful cookers. When my oven broke, I used it in place of anything that could go in the oven. It doesn't heat up the whole house and you can put it wherever you want. Thanks for the great review. I would love to have one of these!! Thanks for the great review! I love that roaster. I could cook for my large crew much easier. Tweeter probably has knocked me out of the running. I'm at my limit and couldn't claim Tweets. You have such wonderful giveaways on such wonderful products...and this is another one of them. I would love to win one of these! As a Cub Scout leader, we are always borrowing a couple of these for dinners and events that we hold. This woul;d be awesome to have! I cook everything from scratch and although I have an electric frying pan and slow cooker, they are both small in comparison to the one in this contest. thanks. I was taught to cook in large batches - my mom never knew who my sister was going to bring home for dinner, so there was always enough for company. When my husband and I were first married, he had to adjust to my large way of cooking. We've now been married almost 17 years and we're teaching our girls to cook the same way - most leftovers heat beautifully! So this roaster would be great for chili, meatballs and gravy, pot roast.... I can see it becoming a HUGE help in our house! I would love to win this item so I can spend more time with my family and less time in the kitchen. Who doesn't love a hot dinner at the end of the day. Thanks for the opportunity. I would love to win this item so I can spend more time with my family and less time in the kitchen. Thanks for the opportunity. I believe that would cook anything that I wanted it too.A turkey would be real good in there. This would be so great to win. Set it up in the morning and come home to a house filled with the wonderful aroma of a delicious dinner! This would make me want to cook more than just microwave food. I could have a hot dinner and know it was really "home cooked" :) Thank you for the review and giveaway! I think that would cook the best turkey dinner ever or any roasr dinner.